The Google Nexus 4 has been one of the best selling Google Phones, since its release. And now we have already got it hooked to the SlimKat team’s alpha SlimKat custom ROM based on Android 4.4 Kit Kat. Flash this custom firmware on your Nexus 4 if you want the vanilla features, tools and tonnes of new capabilities on your Google Nexus 4 phone. Your Nexus 4 should be unlocked and rooted. Ensure that your Google Nexus 4 carries more than 70% of charge. Note: this detailed tutorial to flash SlimKat on Nexus 4 is specifically written for the new Nexus 4 , NOT the classic Asus Nexus 4. 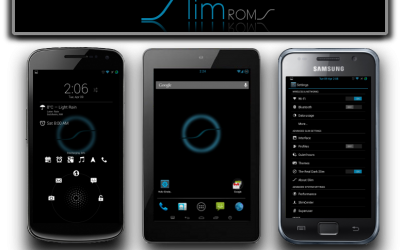 Download the custom ROM firmware file from here. In order to be able to install Android 4.4 Kit Kat Custom Rom on your phone, you will first need to upgrade the CWM to the latest 6.0.4.3 or above version. Connect your Google Nexus 4 with the PC, via USB cable. Download the afore mentioned SlimKat Android 4.4 Kit Kat Custom ROM and copy it to the SD card of your phone. Now, you will boot the Nexus 4 into recovery mode, by pressing and holding down the Volume Up button, alongside Home and the Power button, until the screen flashes, release the three buttons then. After a few seconds of that, the phone will enter recovery mode. Return to the main recovery menu and select Install zip from sdcard followed by choose zip from sdcard. Locate the downloaded SlimKat Android 4.4 custom firmware file for Google Nexus 4 and confirm the installation. Select install zip from sdcard, then select choose zip from sdcard. Now, locate the 6712-slim-mako-4-4-alpha-1-5-official file that you copied earlier in Step 2 and select it by pressing Power button. Confirm installation by selecting Yes. Install the said zip file on the next screen. The ROM installation will begin. Your Google Nexus 4 is now proudly sporting the SlimKat Android 4.4 custom ROM! In case you own a Google Nexus 5, you can find tips and tricks for it at AndroidPit.